Initially, it’s very difficult to exercise- your body which is used to your bad habits, will put up a strong resistance. It screams at you to stop- it gives you all kinds of muscle aches. It will take the will of steel to keep pushing yourself and not give up. Because you did not exert yourself to the max, you do not sweat much. And you’ll probably practice the “live to eat” philosophy as well- eat what you crave. Normally healthy food is not part of the deal. Because of this, you will not be able to exert coz your body’s so lethargic and tired all the time. After a while, most people would probably give up and drop out- that’s why gyms always tie you for at least a year- coz they know people will tend to drop out within the first 3 months after the initial excitement with a new toy wears off. 1 month is mostly too early to tell- but after 3months, you’ll know if you’ll stick or break it. You become discontent with the results you are seeing. Gradually, you want to get more benefit from your workouts. You have read that proper nutritious diet and exercise are inseparable allies to good health. Also, you know that you will see more results if you do not keep rewarding yourself with chocolate truffles, ice creams or sinful cakes. And you start changing your diet and putting more intensity in your workouts. You decide to show to your body that you mean business and you are not a pushover to your cravings. The improved diet and more intense exercise: That’s when you start to notice that you are beginning to sweat more. And your sweat may be a bit stinky- it’s a good sign- your body are removing toxins thru sweating. That’s why during toxin removal, if you have sensitive skin, you may develop some skin sensitivities at the neck and face. It’s IMPORTANT TO DRINK LOTS OF WATER. 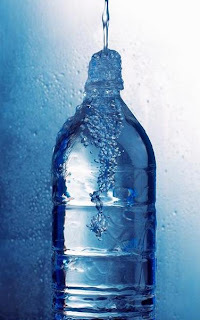 Don’t worry about water retention coz ironically, the more water you drink, the less water you will actually retain. And slowly, your sweat do not stink so much. Sweating more profusely is a good sign, especially if you could hardly break into a sweat in the past. It’s a sign of improved metabolism, which you will undoubtedly notice in the increased endurance and stamina during your workouts. Resistance/ weight training is very useful to built more lean muscle that leads to increased metabolism. I used to have certain skin allergies in the sense it will itch and pain at the same time when I take too much sugar and other food. It was increasingly becoming more often before I started exercising seriously last year. Other forms of sensitivity is itchy throat, running nose, ears are itchy from the inside (the parts that cotton buds cannot reach) and itchy eyes. Initially when I started exercising, I did not even sweat much but after I intensified my efforts till I hit the threshold, I started to really sweat during workout. To be honest, initially the sweat had urea smell that I thought my Tshirt smelled like urine. Also, during the initial stage, I seemed to be sensitive to my own sweat. The sweat made my face pain and itch. Whenever that happens, I will do logically what some people in that situation would do- I scratch it. Sometimes at work, a colleague will stare at some part of my face and ask me, “what happened to your face? Were you scratched by a cat?”. But after a while into the exercising, as I sweat more, the skin sensitivity reduces and so is the urea smell that came with intensive exercise. Got the inspiration to write this when I was writing the previous piece on what a sundae con did to me. So, get sweating… it’s really good for you. Be worried if you do not sweat much. Your body will be storing way too much of toxins.